Idukki is often referred as the cultural center of Kerala. The rich green landscapes surrounding the hill station makes it one of the most beautiful cities in whole of India. 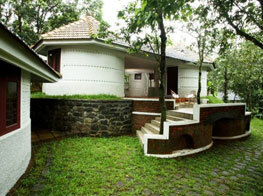 To accommodate travelers who come here to spend relaxing vacations, there are several hotels in Idukki. These hotels in the city provide tourists a chance to stay amidst beautifully aromatic spice plantations and the rich wildlife species that are located within every inch of the city. The city is known for its wide range of spices and these local spices are used to cook delicious meals in Idukki hotels. Those who have a taste are often seen licking their fingers after a fine dining service. The hotels also ensure tourists make the best of their stay in Idukki and plan several trekking and nature excursions in and around the city. The guests of these hotels make the best time outside and spend a luxurious stay inside the hotel. These hotels offer a completely win-win situation to the travelers! Given below is a list of Idukki hotels that you will find truly fascinating places to stay in the city.